The boy band One Direction has released the first preview of the music video for their new single, "Night Changes". 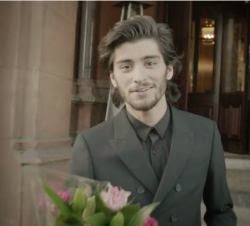 The video features Zayn Malik, who appears with a romantic date in a restaurant. The full version of the video will premiere on Friday (21). "Night Changes" is the second official single from their fourth studio album, "Four," which went on sale today (17) and has the track “Steal My Girl”.